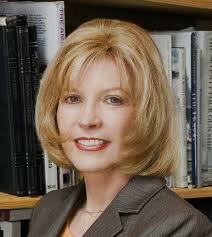 Kat Martin is a New York Times bestselling author of over fifty historical and contemporary romance suspense novels. She currently lives in Missoula, Montana with her husband. Kat is a graduate of the University of California where she majored in Anthropology and studied History. Before starting her writing career in 1985, she was a real estate broker. That’s where she met her husband, Larry Jay Martin, author of more than 20 westerns and mysteries. Most of her ideas for books just pop up in her head, but she does occasionally get ideas from newspapers and television. Her books are published in twenty foreign countries. Against the Edge is book number eight in the Against series. You don’t need to read the others in any order as they stand alone just fine. Former Navy SEAL Ben Slocum receives the shock of his life when a stranger appears on his doorstep announcing that a child he didn’t even know he had is missing. Claire Chastain is a friend of the boy’s late mother and is desperate to find him and seeks Ben’s help. They band together to track down the kidnapper, all the while trying to fight the attraction they feel for each other. Ben enlists the help of his fellow private investigators and end up traveling through several states in search of an off grid survivalist group who might have his son, Sam. To add an interesting twist to the story, Claire’s old boyfriend shows up with his own trouble that Claire gets drawn into. This book is filled with drama, suspense, action, romance, and likeable characters. It is fun to watch Ben and Claire’s relationship take hold. The author weaves a believable story of both characters’ pasts that adds great interest to the book. The secondary characters (some have been introduced in past Against books) add another enjoyable layer.